Funds for the full amount of the purchase price of the investment property can come from the Self Directed IRA or Individual 401k account. However, if additional funding is needed, only non-recourse loan can be used when purchasing investment property inside of a retirement account. A recourse loan cannot be made to a self-directed IRA account. 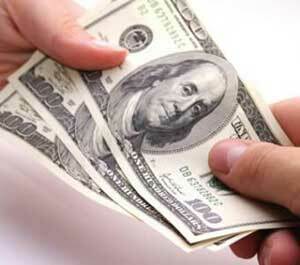 A recourse loan is guaranteed by the individual obtaining the loan. In the case of loan default, the lender can pursue recourse from the individual. According to IRC Section 4975, this would be considered a prohibited transaction because the recourse loan involves a disqualified person, the account owner, with the retirement account. The account owner cannot guarantee the loan to the retirement account. A non-recourse loan uses the purchased property as recourse. It is a loan secured by collateral only; the individual borrower is not liable in the case of default. Because the individual does not guarantee the loan, it is not considered a prohibited transaction by the IRS. The non-recourse loan can be used with a self-directed retirement plan to finance a real estate investment. This is not considered a violation of the plan’s tax-exempt status. It’s important to note that the use of a non-recourse loan with a self-directed IRA does incur the UBTI tax. When the plan purchases real estate that is leveraged with mortgage financing, the income it produces is considered Unrelated Debt Financed Income (UDFI). UDFI is a type of Unrelated Business Taxable Income (UBTI) which is subject to tax. UBTI tax rates are typically 35%. The income and gains produced by the portion that is financed by the non-recourse loan is subject to UBTI tax. In other words, if 50% of a property is financed by a non recourse loan, then 50% of the income will be subject to the UBTI tax. Next: What About Business Taxes For Real Estate Investors?